Totally Awesome Birthday Cake for a friend….. I was so excited to make this cake because the theme was the 80s cartoon, Jem and the Holograms!! I had to refresh my memory on Jem and it brought me back to my childhood. I loved the girl band rockers and their awesome BIG hair and makeup!! For the cake, I made a 10 inch vanilla cake with vanilla buttercream, 7 inch vanilla cake and the zebra topper was a Rice Krispies Treat. 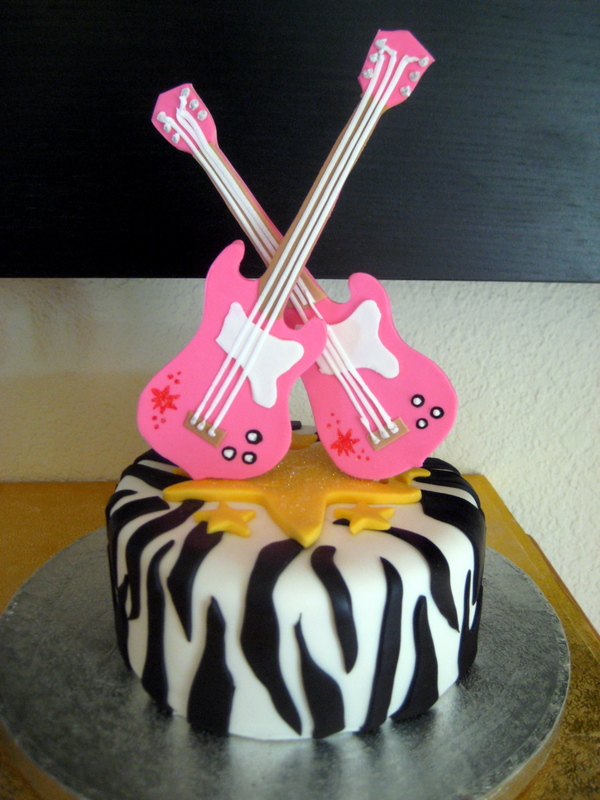 The whole cake was covered in 80s colored fondant and decorated with glitter fondant stars, guitars, and zebra print. 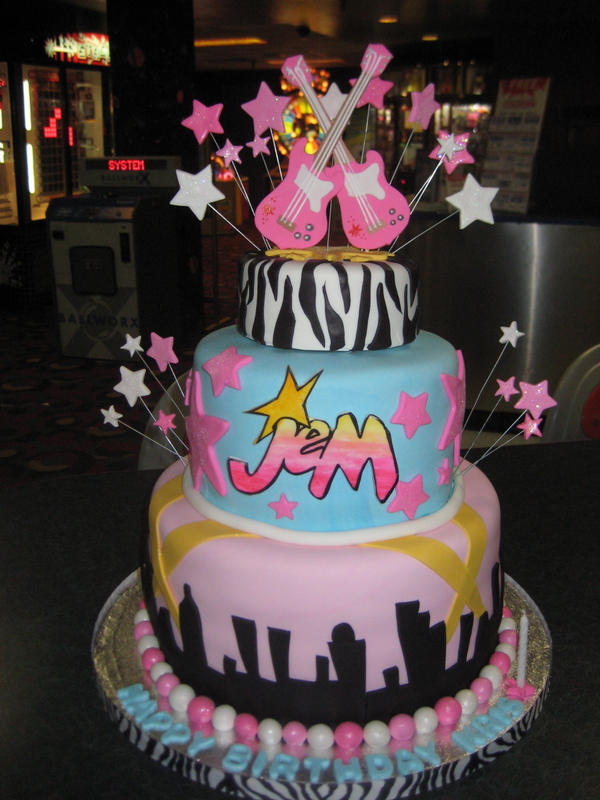 The Jem logo was cut out with an exacto knife and and painted with icing colors. I thinned the colors with a tiny bit of vodka to make it nice and smooth. Oh, how I needed an air brush machine!!!! Enjoy and ROCK ON!